Metronidazole is an antibiotic used in veterinary medicine to treat infections caused by an intestinal parasite called protozoa and also by some kinds of bacteria. It can be used as an anti-inflammatory to calm immune-mediated inflammation of the gastrointestinal (GI) tract in animals suffering from inflammatory bowel disease (IBD). 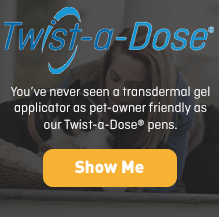 It is most commonly prescribed in dogs and cats, although veterinarians may also prescribe metronidazole to treat rabbits, ferrets, pocket pets, birds and snakes. 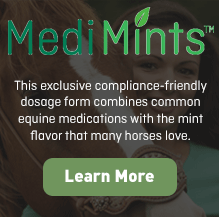 Like many other drugs in veterinary medicine, metronidazole is not FDA approved for use in animals and is not available from a veterinary pharmaceutical manufacturer; however, it may be compounded by a specialty pharmacy for your pet. Metronidazole commonly is used to treat infections caused by bacteria or protozoa and is considered accepted practice within veterinary medicine. Give this medication to your pet exactly as your veterinarian prescribes. If you miss giving your pet a dose of metronidazole, give the next dose as soon as you remember or, if it is close to the next scheduled dose, return to the regular schedule. Do not double dose to catch up. Metronidazole is very bitter-tasting and giving your pet this medication can sometimes be a challenge, depending on your skill and your pet’s personality. 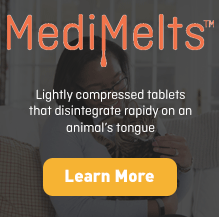 Your veterinarian may prescribe a compounded metronidazole that is both the right size and strength for your pet and flavored in a way that makes it easier to administer. 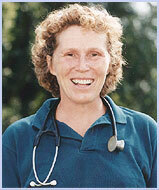 Be sure to discuss any side effects your pet develops with your veterinarian immediately. The more common side effects are related to the digestive tract, such as nausea, vomiting, and decreased appetite. Rare side effects include diarrhea, depression, weakness, low white blood-cell count, liver problems, and blood in the urine. High doses or long-term therapy with metronidazole can cause problems with the central nervous system. Symptoms include loss of coordination, staggering, disorientation, and seizures. High-dose or long-term therapies usually are reserved for particularly difficult bacterial-infections. Metronidazole is metabolized by the liver. Animals with liver problems may be more at risk for side effects and usually are given a lower dose of metronidazole. Metronidazole is a prescription drug and should be used according to your veterinarian’s directions, and given only to the animal for which it was prescribed. Do not give this medication to a person. This drug should not be used in animals that may enter the food chain, and it should not be used in animals that are known to be allergic to this drug. Metronidazole should not be used in pregnant animals, as it has been shown to cause birth defects in laboratory animals. Be sure to review with your veterinarian any medications or supplements your pet may be taking. There may be drug interactions between metronidazole and drugs such as alcohol, oral anticoagulant drugs (blood thinners), cimetidine, phenobarbital and phenytoin. If you suspect your pet or another animal was accidentally overdosed or has eaten this medication inadvertently, contact your veterinarian or the A.S.P.C.A.’s Animal Poison Control Center at 888.426.4435. Always bring the prescription bottle or container with you when you take your pet for treatment. If you or someone else has accidentally ingested this medication, call the National Capital Poison Center at 800.222.1222. Different strengths or dosage forms of metronidazole may have different storage requirements. Read the labeling or ask your pharmacist for the storage requirements of the prescription you receive. Antibiotic: Metronidazole is used to treat bacterial infections caused by anaerobic bacteria (bacteria that grow where there is no oxygen). It is very effective at killing these bacteria, but it is not effective against bacteria that live where oxygen is present. When metronidazole is used to treat a bacterial infection, your veterinarian may combine it with other antibiotics depending on the different types of bacteria that are being treated. Protozoa: Metronidazole is used to treat some of the more common protozoal infections in dogs and cats, such as Giardia and Entamoeba. Giardia is a very common intestinal infection in dogs, although it occurs only occasionally in cats. Animals with Giardia usually present with soft, rancid diarrhea. Humans also can be infected with Giardia, but there is no conclusive evidence that the infection can be transmitted from pet to human. Usually human infections come from drinking or swimming in contaminated water. Anti-inflammatory: An interesting and less common use for metronidazole is as an anti-inflammatory within the bowel for animals suffering from inflammatory bowel disease or other immune-mediated diseases within the gastrointestinal tract. The mechanism for this anti-inflammatory effect is not well understood, but low dose metronidazole appears to have a calming effect on the immune response.